Welcome to the Atlanta REIA Google Group! This group is for active members of the Atlanta Real Estate Investors Alliance (Atlanta REIA) and other invited guests for the purpose of sharing valuable real estate related information, asking questions and exchanging contacts, leads and deals. Go to Google.com and sign in to the Google Account you want to use to join our Google Group. 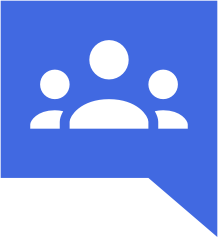 After you have signed in to your Google Account, click this link to go to the Atlanta REIA Google Group. On the Atlanta REIA Google Group page, click the link that says “Apply for Membership”. Doing so will open up a pop up box to apply to join the group. In the popup box, choose your “Display Name” and check the box that says “Link to my Google profie and show my photo on posts” if you wish. By default, the popup is set to “Don’t send email updates”. If you don’t choose Option B, C or D, you won’t get any email updates from the group which negates the purpose of the group to keep you updated on the haves, wants, questions and deals from other group members. So be sure to choose B, C or D.
Option D is recommended. However, if you find yourself getting too many emails, you can update your settings later and go with Option B or C.
Next, there will be a checkbox that says “Automatically subscribe me to email updates when I post to a topic”. You definitely want to check this box so that you are notified when other members reply to your posts. What is your full, real name? Are you an Atlanta REIA Member? How do you plan to contribute to this group? Please answer these questions truthfully and so we can process your application quickly. Upon completion of the form, click the “Apply to join this group” button and we will process your request ASAP. We look forward to your participation in the group. Thanks for your consideration!